Venezuelan President Nicolas Maduro criticized US President Donald Trump’s statement about possible military action in Venezuela as unreasonable, local media reported. MOSCOW (Sputnik) – On Friday, Trump said Washington was considering the possibility of a "military option" in Venezuela in case it was necessary. 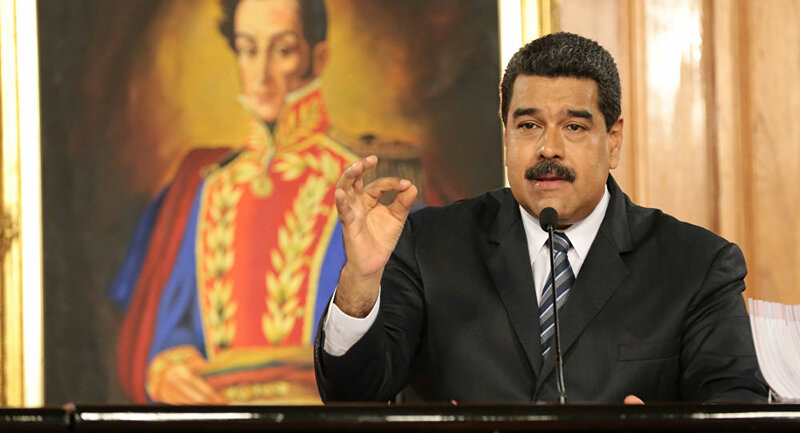 "Venezuela cannot be threatened… [it] is the country of peace, integrity and history," Maduro said as quoted by the Venezuela Mundial news portal, calling Trump’s statements "vulgar" and "disproportionate." On Monday, Venezuela's ruling Socialist United Party (PSUV) made a post on its Twitter blog announcing the mobilization of the Venezuelan people to defend sovereignty and independence.